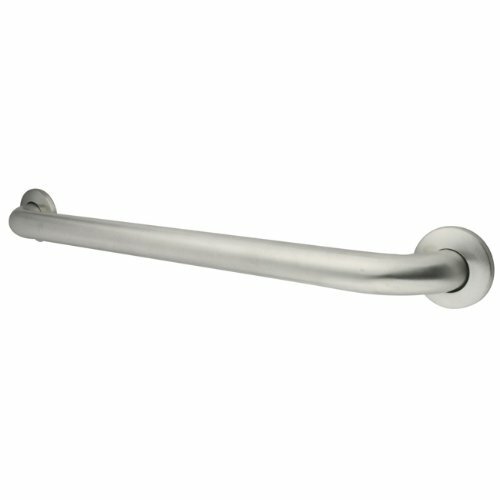 GB1212CS Size: 12" W Features: -Includes mounting hardware. 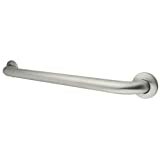 -Grab bar. -Material: Stainless steel. -Easy to install. Finish: -Nickel . Material: -Metal. Generic Dimensions: -3'' D. Dimensions: Size 12" W - Overall Length - Side to Side: -12 Inches. Size 12" W - Overall Product Weight: -1.03 Pounds. Size 16" W - Overall Length - Side to Side: -16 Inches. Size 16" W - Overall Product Weight: -1.22 Pounds. Size 18" W - Overall Length - Side to Side: -18 Inches. Size 18" W - Overall Product Weight: -1.31 Pounds. Size 24" W - Overall Length - Side to Side: -24 Inches. Size 24" W - Overall Product Weight: -1.6 Pounds. Size 30" W - Overall Height - Top to Bottom: -1.5 Inches.